Pirelli has reportedly begun to reduce the minimum tyre pressures Formula 1 teams must adhere to during Grand Prix events, a report in Auto Motor und Sport has revealed. The Italian company has set very high minimum tyre pressures this year, in part as a response to the tyre blowouts seen in recent seasons and also to stop the teams using clever tricks to lower the pressures and temperatures of the tyres out on track. 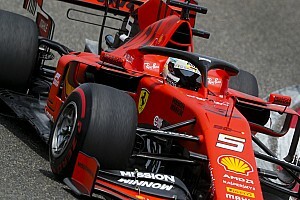 But since the race at Spa, Pirelli has gradually been reducing the minimum pressures allowed, particularly for the rear tyres, according to the report in Auto Motor und Sport. The German publication states that the tyre pressures enforced at Monza were 23.5 and 21.5 PSI and were lowered on Saturday to 23.0 and 20.5 PSI. In Singapore, a street circuit that is therefore less demanding on the tyres, 20.0 PSI was set on the front tyres, while the rear pressures were reduced from 17.5 to 16.5 PSI. 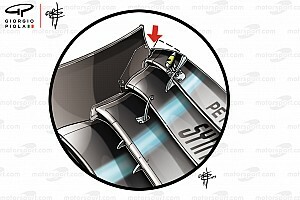 This means the drivers will find it easier to get heat into the rear tyres but will still have to work harder to get the fronts up to the correct operating temperature. Pirelli has also begun testing its new wider 2017 F1 tyres in recent weeks, with Ferrari, Red Bull and Mercedes sharing the workload. But the Italian company’s racing manager Mario Isola fears the adapted 2015 cars that are being used for the tests are not matching the expected increase in downforce levels for 2017, particularly as in-season development will further increase the amount of downforce on the cars by the end of next season. 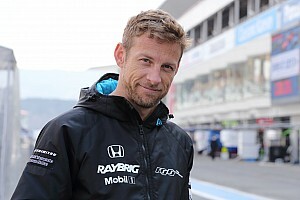 Speaking to Autosport, he said: "It depends if you consider the beginning of 2017 or end of 2017. It is probably around 20 per cent that is missing. Isola also explained that not having the right predicted downforce levels during the development of the new tyres could potentially lead to problems with higher tyre degradation later in 2017. He said: "The problem of not having the downforce at the right level is you don't stress the compound at the level that is required and expected for next year. "You evaluate the degradation, which is probably not the right one because when the performance and downforce is increasing, you have higher degradation. "That's why we are working with the teams to have a car that is able to generate more downforce." Pirelli has also revealed the tyre selections made by each Formula 1 team for the upcoming Japanese Grand Prix. Just one week after this weekend’s race in Malaysia, F1 heads to Suzuka for the Japanese race where Pirelli will provide its soft, medium and hard compound tyres. Mercedes drivers Lewis Hamilton and Nico Rosberg have differed over their allocation of hards and mediums, with the world champion opting to go for an extra set of the harder rubber and his rival picking one more set of the white-walled medium compound. Ferrari’s Sebastian Vettel and Kimi Raikkonen will have nine sets of the soft compound available to use compared to eight for the Mercedes pair and six for the Red Bull drivers. 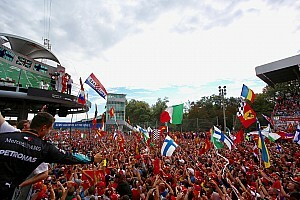 Vettel will have just a single set of mediums, and an extra set of hards compared to Raikkonen. 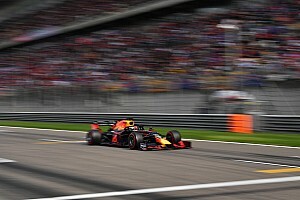 Red Bull’s Daniel Ricciardo and Max Verstappen will have four sets of hards, as will Force India’s Nico Hulkenberg and Sergio Perez, and Toro Rosso’s Daniil Kvyat. What do you make of the F1 teams tyre selection for the Japanese Grand Prix and the latest developments in Pirelli’s tyre pressure recommendations and 2017 tyres? Leave your thoughts in the comment section below or head over to the JAonF1 Facebook page for more discussion. Inside Line F1 Podcast: What's with Apple and McLaren?